This building, constructed in 1924, is a good example of a small commercial building, surprisingly intact in comparison to others in the vicinity. The corner space has usually been occupied by a café—in 1938 it was the New Cecilia Café. 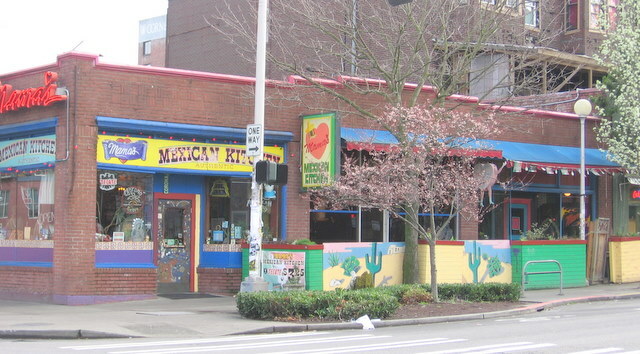 For many years it has been Mama’s Mexican Kitchen, one of Belltown’s oldest restaurants. The storefront on Bell Street is one of downtown’s most intact examples of an auto repair garage. In 1938 it was Bell Street Auto repair, and it remains in that use today. 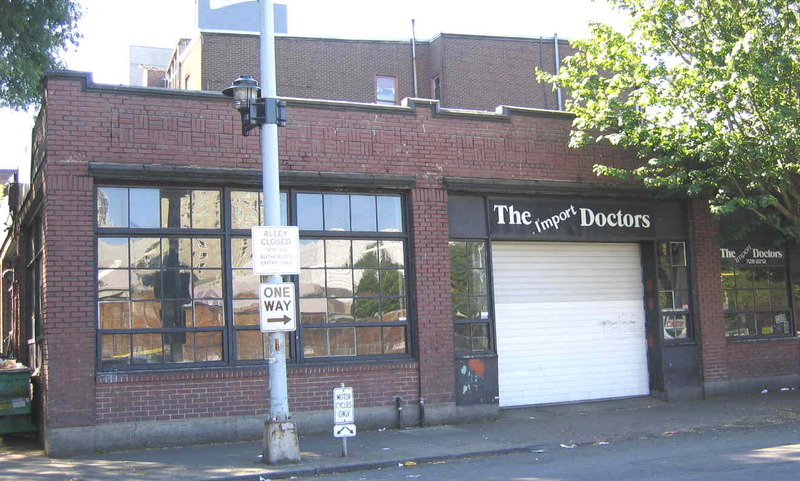 Many auto repair shops located in Belltown in the 1920s-30s, as it provided a central location with lower land prices than downtown. This one-story building is of masonry construction faced with red brick; someof the brick bulkheads have been painted in bright colors. There are three storefronts on the west elevation, plus the garage on the north side. Two of the storefronts have recessed entries, while one has been altered. The large display windows have light transoms, obscured by canvas awnings. The roofline has a stepped parapet with metal coping. The garage is amazingly intact, with decorative brickwork above the expansive multilight windows. The garage door is newer.